Gemma Derrick is an expert in the evaluation of societal impact, research evaluation frameworks and their effects, and the optimisation of evaluation processes, including peer review. Currently, she is a Lecturer in Higher Education and the Co-Director of the Centre for Higher Education Research and Evaluation at Lancaster University. 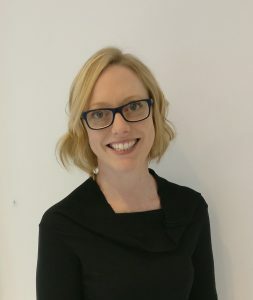 Gemma holds degrees in Medical Science, Neuroscience and has a PhD from The Australian National University in Science Communication and Research Evaluation. She is a past recipient of the ESRC Future Research Leaders Award, which contributed to her book The Evaluators’ Eye: Impact Assessment and Academic Peer review (2018); as well as the British Academy Rising Star Engagement Award that established the COMbINE network which promotes the adoption of alternative and mixed methodologies within the research evaluation field. Gemma is also a UK-representative for the Eu-COST Action ENRESSH (Evaluative Research in the Social Sciences and Humanities), as well as serves on the Steering Committee for the World Health Organisations Evidence Informed Policy Network (WHO EVIPNet) with special responsibilities for Monitoring and Evaluation, as well as Advocacy and Impact.